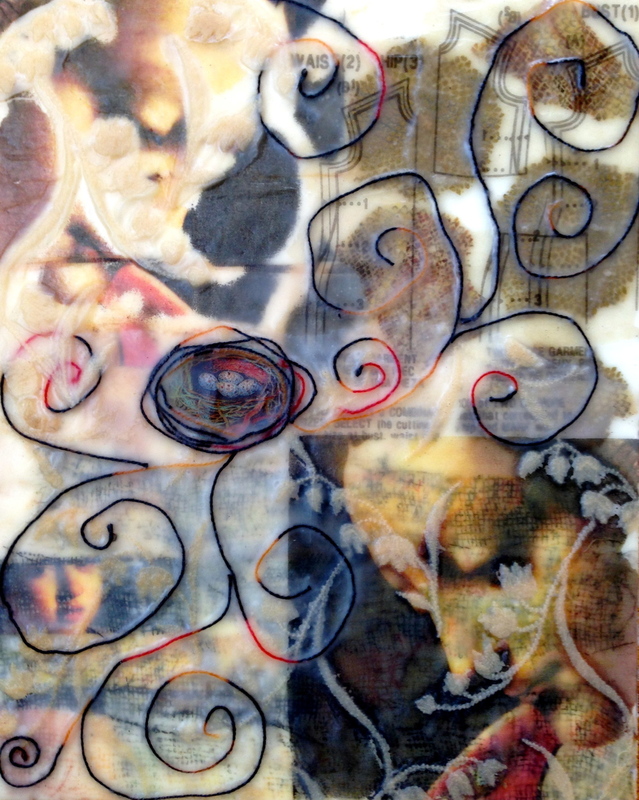 As my paper textile collage technique evolved, I began to experiment with the encaustic medium. 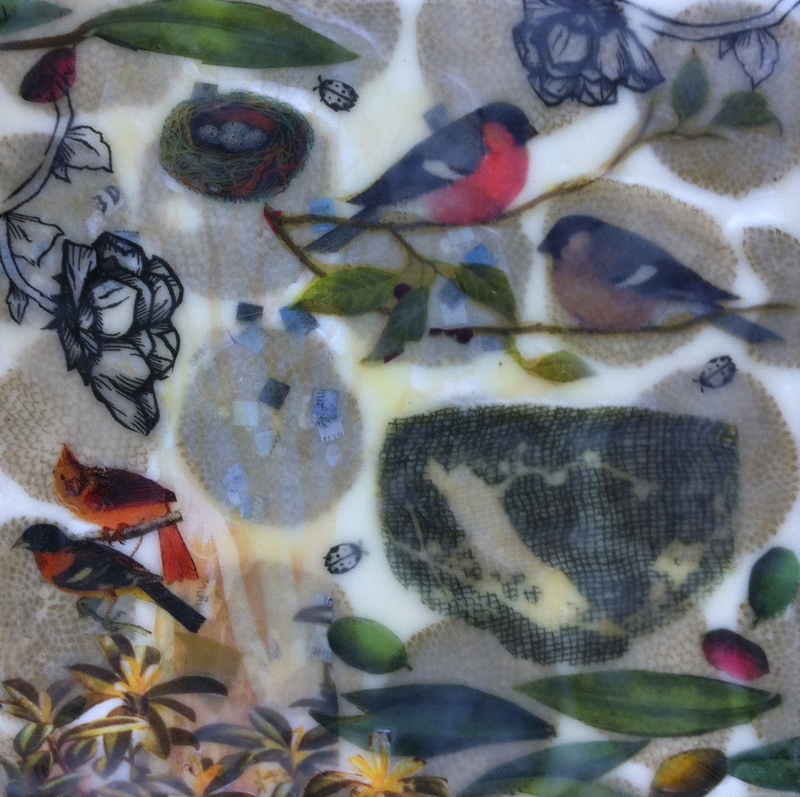 This is an old technique where the paper and or fabric are layered between layers of wax. 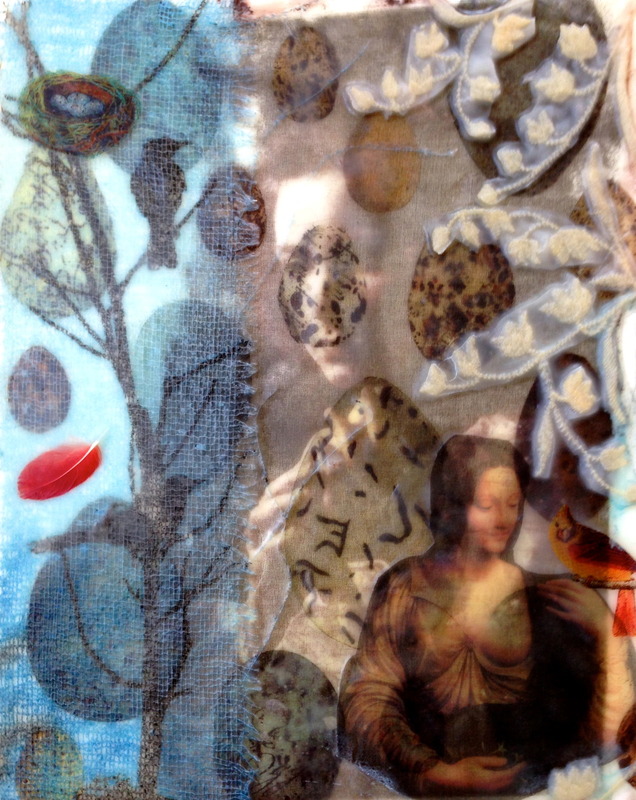 Incorporating photo transfer, silk thread, paper and found objects, I am able to explore the layering of texture, color and shape.